The Master’s Academy proudly offers J-Term, an innovative curricular feature. Modeled after the college “January Term” concept, J-Term is designed to increase learning opportunities for students. Not only are students given new classes to choose from each year above and beyond the normal high school curriculum, they also have the unique opportunity to travel to destinations around the world through a variety of educational and mission trips. In addition, juniors and seniors have the chance to experience a profession firsthand (through work internships) before deciding on a college or major. Click here for a full listing of 2018 JTerm Classes. 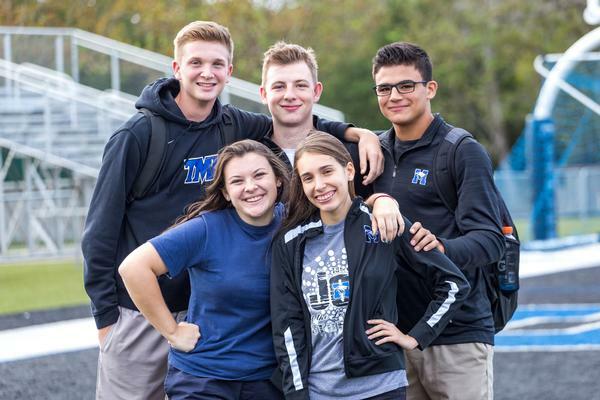 The Master's Academy has partnered with Palm Beach Atlantic University, Seminole State College, and CollegeBoard to provide students a chance to experience college level academics and earn college credit. Students at TMA also perform well in Advanced Placement courses. Our average pass rate for the last three years is 73% for a score of 3 or higher and 43% for a score of 4 or higher. TMA has been achieving these scores while consistently increasing participation in AP courses. "AP is a rigorous, challenging, but rewarding path. It takes a strong work ethic to succeed. The unique value of looking at AP subjects through a Biblical worldview lens is an eternal and life-changing education."